For baseball fans, it is a great time of the year. Spring Training has started and the season is just a little over a month away from starting. 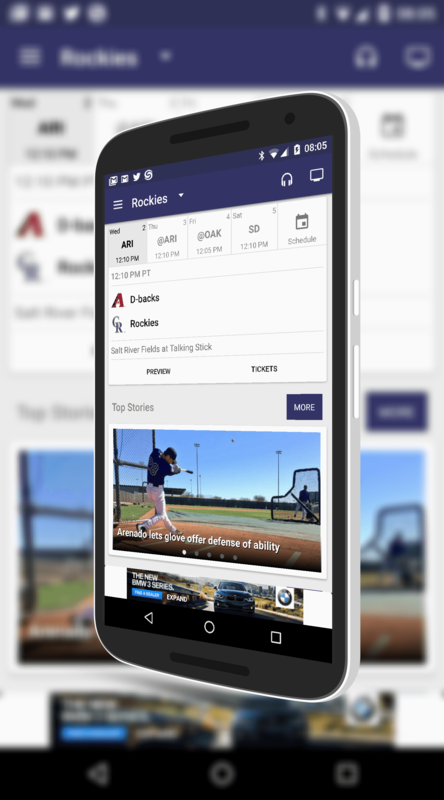 One of the best sports app out there – and it has been for a long time – is MLB.com At Bat. It provides a huge wealth of information during the baseball season on your favorite team, players and from around the league and if you love the National Pastime, this app is a must have on your devices. The league has issued an update to the Android version of the app, build 5.0.0 for those keeping score at home (see what I did just there?) and is available now in the Google Play Store. The biggest part of this update has to do with the general look of the app. The update has a far more Material Design look to it than in the previous builds and that new look flows for both the phone and tablet UIs. With so many apps now following the Material Design look, the MLB app felt a little out of place towards the end of last season. Now it looks the part a bit better but doesn’t lose it’s baseball look either. allow you to download the wallpaper for any team in the league to your phone or tablet so you can show your team spirit. In the release notes for the update, MLB has indicated that their will be more features and functionality added to the app before Opening Day. What exactly those updates will be isn’t outlined but if I had to guess, probably a bit more live game action and some further tweaking on the Material Design look of the app. While the MLB.com At Bat app is free, many of the live information only comes with a subscription. That is $19.99 per year or $2.99 per month, whichever is easier on the budget. With that subscription you can live in-game radio broadcast streaming, live video look-ins to action from around the league, free daily broadcast games (subject to local blackout) and other features. It’s well worth the three bucks to do a premium subscription if you love your baseball.